Redskins, Columbus Day, and Bob Costas. Almost a year ago, Javan Belcher a linebacker for the Kansas City Chiefs, shot and killed his girlfriend, in their home and then shot himself in front of the team coaching staff. A troubled man from his youth, allegations of infidelity, and a blood alcohol level more the twice the legal limit combined that day to equal a tragedy. Liberals, as expected, wasted little time blaming the gun for Javan’s actions. 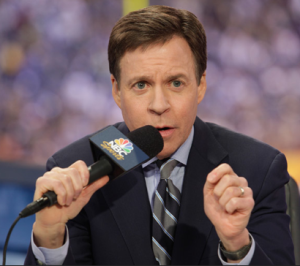 Few details are remembered and the incident was over shadowed when, during the half-time commentary of a Sunday night Cowboys/Eagles game, Bob Costas went to air about creating stricter gun control laws. Suggesting that if Javan had not had a gun, Javan and his girlfriend would still be alive. Never mind the fact people tuned into NBC to watch a football game- Costas took it upon him self in his liberal righteous way to lecture Americans. It could have been said that Javan as an active NFL linebacker- was fully capable of strangling his girlfriend had he chosen to do so. Instead, Costas blamed the gun. He wanted politicians to act; take away your rights even though you had not committed a crime. And as silly as it is the analogy to the gun would be had Javan killed his girlfriend with his hands to call for limitations at the gym. Isn’t lethal-lethal regardless of the means? Should we mention the cause and effect principle as it relates to the alcohol? Surely that wasn’t conveniently left out Bob — given your salary is paid by the advertisers to NBC– a majority of which just happens to be beer commercials, would it? But how does all this intertwine? 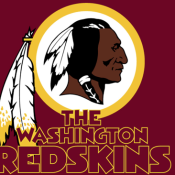 Because little Bobbie during the Redskins/Cowboys game claimed, in a paraphrased manner, that the use of Redskins as a team mascot was racist. And since I am part Cherokee I can tell you he is an idiot and most other American Indians feel the same. Unless, that is, they are using this issue for fundraising for a liberal cause. And now this little nose drip has chimed in. To a newly manufactured controversy that is emblematic of a larger assault by liberals to attack the foundations of this country. Take for instance in our schools where Christmas has been renamed ‘winter break’, Thanksgiving ‘fall break’, Easter ‘Spring break’. They are in the process of changing the 4th of July. Christopher Columbus is of course controversial; his decline since 2000 has been startling. And who keeps spitting in your eye? Elitist New York, Washington and California liberals… like Bob Costas.